scientists’ voices in Antarctic literature. I am also embarking on a collection of essays strongly influenced by my journeys to Antarctica and the Kermadec Islands and my experience working with climate scientists, volcanologists, marine biologists, conservation biologists, organic chemists and other scientists. I regularly write about science for the New Zealand Listener and have communicated a range of other science stories through print, blogs and radio broadcasts. I have a strong interest in the links between the arts and sciences and I am an associate investigator with Te Pūnaha Matatini. I am interested in hearing from students seeking postgraduate supervision in any of my areas of research interest. PhD: Co-supervisor for Helen Heath, International Institute of Modern Letters, Poems of science: hybrids of knowledge and subjectivity. Co-supervisor for Janine Cook, History, Feathered friends and human-animals: General biology and comparative description within the New Zealand Poultry Industry Press (awarded 2015). 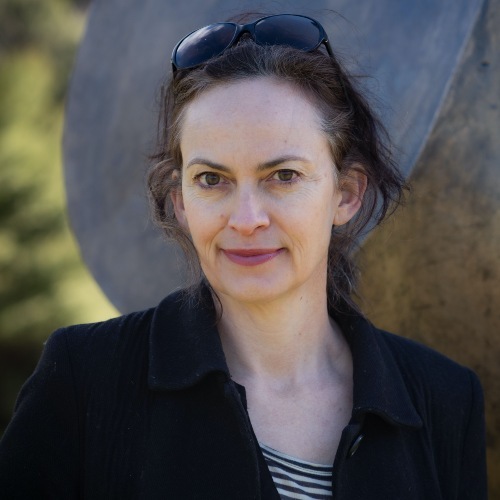 Rebecca Priestley is an award winning science writer and historian with a research focus on New Zealand and Antarctic science in the 20th century. She has a background in earth sciences and more than 20 years' experience in science communication. Rebecca's most recent book, Dispatches from Continent Seven (Awa Press, 2016) is an anthology of Antarctic science writing, from early accounts of the geography and wildlife of the frozen continent to recent warnings about the impact of climate change, ocean acidification and invasive species. Her 2012 book Mad on Radium: New Zealand in the atomic age (Auckland University Press), explored New Zealand’s nuclear and radiation history and argued that the country was once as enthusiastic about the coming atomic age as any Western nation. While Rebecca’s ongoing history of science research looks at the role that science has played in New Zealand’s past, she continues to write articles and essays about a range of issues in science today. Rebecca is the recipient of the 2016 Prime Minister’s Science Communicator’s prize.